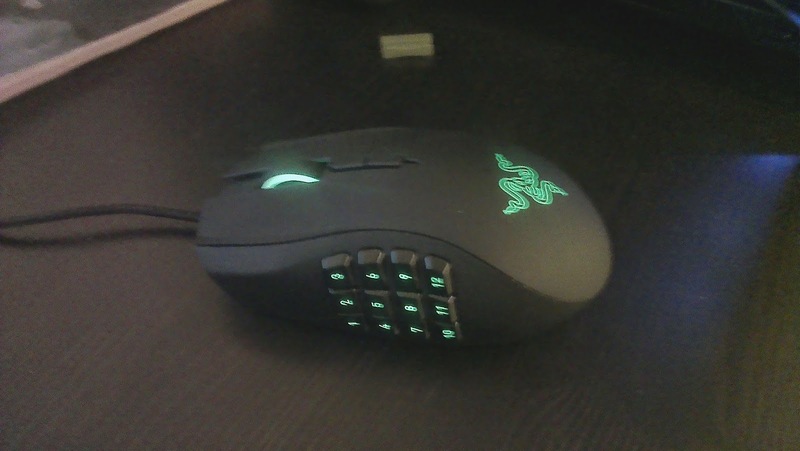 The scroll wheel and thumb-grid and Razer logo can be lit up independently. my previous Naga's profiles to the new one. The scroll wheel now supports tilt left and right giving you 2 more buttons. There is textured rubber on the left of the mouse making easier to hold and pick up. 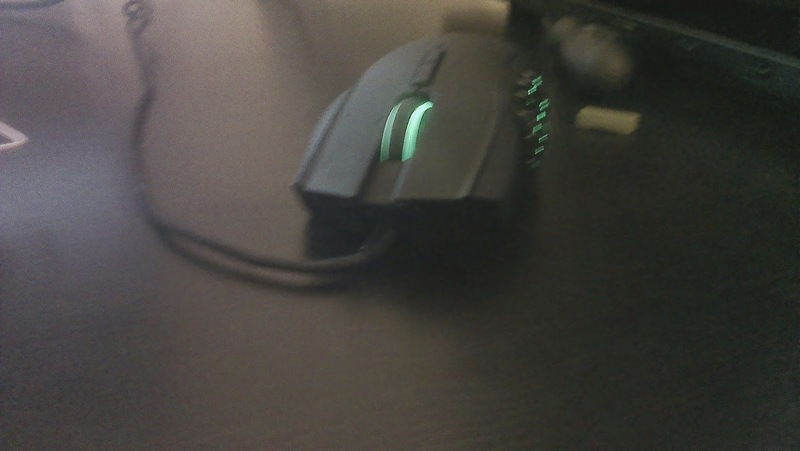 The lighting of the mouse is now green instead of blue and is dimmer than on the previous naga mice. The left click switch is faster to trigger than on the old version and takes time getting used to if you play games where using gun jumps is very dependent on accurate timing. I still prefer the shape of my Razer Naga Epic over the new angular shape that the 2014 edition has. The Razer logo has only one lighting mode and that's pulsating which is annoying and not very useful. After some extended use I have gotten used to the bulkier shape and came to like it more because I have a better grip of the mouse. Yes they are easier to recognize however they are too easy to press resulting in me often pressing 2 or even 4 buttons instead of the button I want. The side buttons feel cheap compared to the older Naga mice due to being less inlaid and easier to press making them a little wobbly. Overall the mouse just feels cheaper. The side buttons are made of smooth plastic making my thumb slide all over the place when trying to press them. Go back to the old thumb buttons or make the new ones stiffer and rubberize them because right now they are very very bad due to being too easy to miss press. Make a model with 16 million RGB lighting. Add some addon weights to the mouse and heavy ones to get it close to the weight of a Naga Epic with the battery installed. I would highly recommend this type of mouse for gaming because it has great features that consist of different excellent programs that will surely make your game become more exciting and lot of fun.